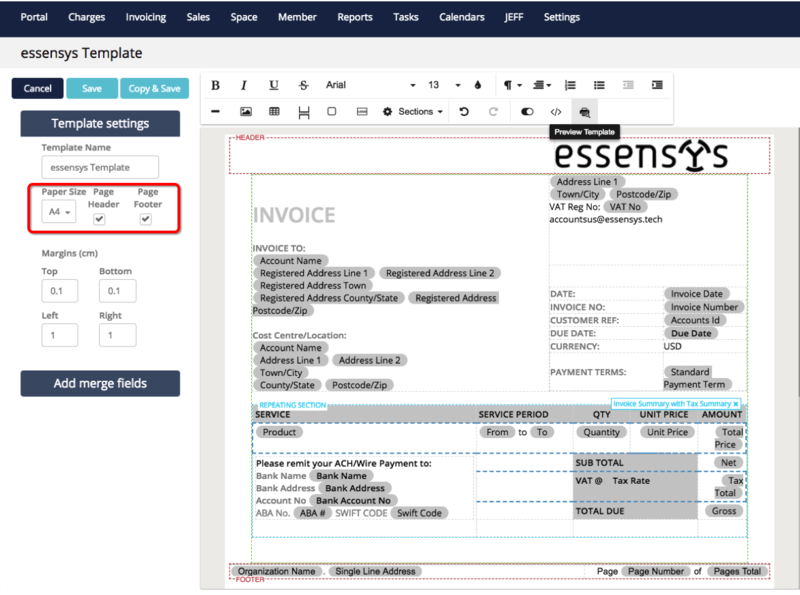 Operate now allows you to customize your document templates (such as Licences, Invoices, Booking Forms, etc.) and add headers and/or footers which will be added to each document page, at the top and/or bottom respectively. To start adding a Header and Footer, begin by either creating or editing a document template. This Knowledge Base section goes through all of our available document templates and how to create them. The Header and Footer feature also allowed us to implement the ability to include page numbers. ‘Page number’ and ‘Total pages’ are now available within the ‘Standard Fields’ merge fields section to drag/drop into your header or footer. For template-specific information, please see the dedicated section, where you can find the one you need.